A second truck, carrying a load of cotton bales for Semper Trucking, was driving in the opposite direction. That driver hit the back-end of the Western Milling truck, causing the Semper truck to overturn and lose its load of cotton bales. Then, an oncoming Well Trucking truck driver crashed into one of the cotton bales and lost control. That driver then crossed the highway’s median into the eastbound lanes of the highway and struck a Honda Accord head-on. All three occupants of the car were killed. The three that were killed were 54-year-old Thanh Nguyen, 45-year-old Thuy Dang and 48-year-old Quoc Dang. They were commuting from San Jose, where they had recently relocated, to their jobs working in nail salons in Dinuba. Thanh Nguyen left behind three children, Thuy Dang left behind her husband and two children and Quoc Dang left behind his wife and two children. The spouses and children of the victims filed a wrongful death civil lawsuit against all three trucking companies and the truck drivers who were driving for them. After deliberating, the jury found that the Western Milling company and their truck driver held 75 percent liability in causing the accident. Semper Trucking and its driver was found to be not liable. Well Trucking and its driver were found to be 25 percent liable in causing the fatal accident. This accident was just one of many large truck accidents occurring in central California. The fertile valley and its agricultural products draws a heavy volume of large trucks to the region. These trucks pick up agricultural products and then transport them to other points throughout California, traveling on the central Californian highways. According to the California Highway Patrol, or CHP, 278 people were killed and another 7,511 were injured in California truck accidents in 2013 alone. A review of the data by county reveals that most central California counties had higher accident and injury rates than other areas of the state, with the exception of Los Angeles. This is because of the central valley’s need for shipping of its agricultural products. Many factors can lead to a large truck accident, including excessive speed, improper left turns, inattention and more. When these accidents happen, victims and their families are often left struggling with the shock of the accident as well as with substantial economic and noneconomic losses. 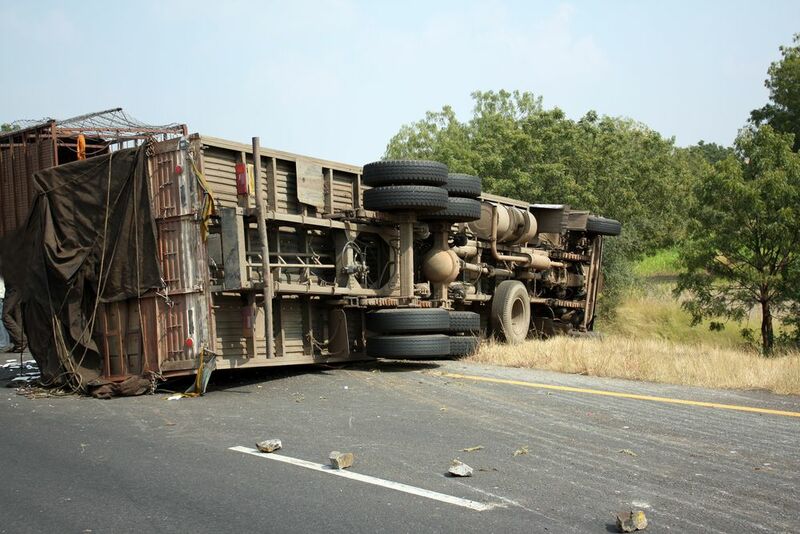 The physical forces involved in a large truck accident, due to their large size and tremendous weight, make these accidents potentially much more catastrophic than other accident types. If you or a family member has been involved in an accident with a large truck, you might need to seek out legal help. A personal injury attorney can help by identifying all of the defendants that should be named and then drafting the complaint on your behalf. They can then negotiate with the insurance companies and other attorneys to seek a maximum recovery for you. In the event it is not possible to reach a reasonable settlement in your case, your attorney will then litigate the matter through jury trial for you. If you have been injured or your loved one has been killed in such an accident, call a trucking accident attorney for help today.